Why are ANZ Historians Shunning Snelling ? Douglas Snelling's closest associates – John Hunt from the late 1950s and Jim Whitelock during the late 1960s – remember their employer often complaining about the pretentious politics prevailing around their shared professional club, the Royal Australian Institute of Architects (now Australian Institute of Architects). Snelling resented a lack of respect for his architectural talents and achievements that he believed was shared by 1950s and 1960s RAIA members who had educations and degrees from the two local architecture schools – then the University of Sydney and the New South Wales Institute of Technology. From a more objective point of view, he hadn't shared time with them as a fellow tertiary student, had avoided army service during the war and was socialising with 'flashy' capitalists at a time when communism was becoming popular among Sydney intellectuals. Although he became a member of the RAIA in 1952 and was annointed a Fellow in the late 1960s, Snelling did not enter the RAIA's annual Sulman Award during the 1950s, or its broader awards program during the 1960s – clearly he did not think RAIA juries would allow his works to win. More than a decade into the 21st century, Snelling still is being brushed off by members of not only 'The Institute' (as architects call it: ignoring all other professional institutes). But – more seriously – the substantial new historical research on him is collusively being ignored and sabotaged by leaders of the key antipodean university architecture schools – and the 'learned societies' which normally claim to be supporting and promoting 20th century modernist culture. The club most directly involved in the current campaign to discredit and block publication of the Douglas Snelling PhD research (by NZ-born Sydney writer Davina Jackson) is the Society of Architectural Historians of Australia and New Zealand (SAHANZ). Also involved are some long-entrenched ANZ leaders of the international modernism protection and promotions group, Docomomo (headquartered in Barcelona) and recent leaders of the Australian Institute of Architects and the Australian Architectural Association. Most notably, the two examiners of Jackson's historical thesis on Snelling who successfully argued for its failure because it ignored post-modern theories were Christine McCarthy of Victoria University Wellington (current president of Docomomo NZ) and Andrew Leach of Griffith University (formerly University of Queensland, a prominent office bearer with SAHANZ). Most members of SAHANZ are salaried academics working in the architecture programs of leading ANZ universities. Recent and current Board members, and editors of its journal, Fabrications, are listed on the SAHANZ site. The group's most influential 'elders' are Professor Philip Goad of the University of Melbourne (who has been Australia's leading scholar of California modernism) and Professor John Macarthur of the University of Queensland. Jackson has been advised by several senior architecture academics that Goad and Macarthur 'probably' encouraged conversations among colleagues which led to the incorrect failure of Jackson's Snelling thesis, polite rejection of her article submissions to Fabrications and the Docomomo International publications, as well as her 'accidental' slippage from SAHANZ membership listings after attending (but not being invited to speak at) several SAHANZ conferences in the early 2000s. During Jackson's thesis examination and appeal processes, the AIA's national education director was Richard Blythe, head of the school of architecture and design at RMIT. 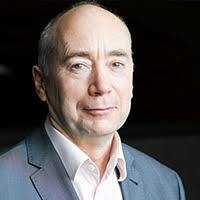 The AIA's national president was Brian Zulaikha, a noted Sydney practitioner, whose partner, Sydney society artist Janet Laurence, threatened Jackson in 2009 that 'we can have your thesis failed'. (Jackson's prompt complaint to RMIT was rejected.) Blythe's Sydney-based business partner, Gerard Reinmuth, was on the board of the AAA for most of the 2000s; leading supporters of AAA founders Harry and Penelope Seidler and other younger rivals of Snelling. So there's a trans-Tasman political impasse delaying Jackson's proposals for a Snelling book and travelling exhibition. The wrongful failure of her PhD thesis in Australia now contrasts its recognition by the British Academy (humanities and social sciences) as part of its approval of Jackson's Exceptional Talent visa from the UK Government – and applause for her research among leading California modernism historians in Los Angeles. Editors and publishers of the leading Australian architecture and design magazines are ignoring the scandal. However an article by Jackson on Douglas Snelling is scheduled in Brisbane photographer-historian Chris Osborne's second edition of Australian Modern, expected to publish in early 2014.